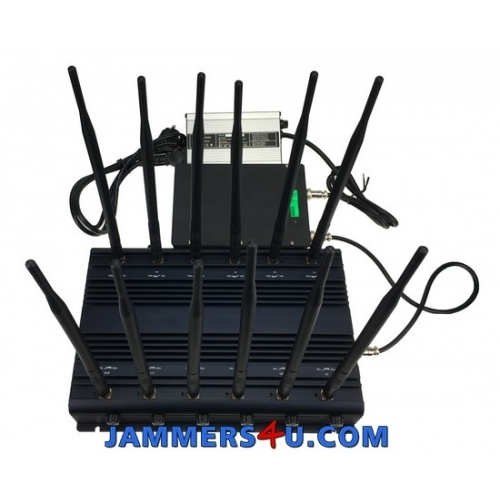 Low power 2-3W per band , total 32W portable desktop Jammer with 12 antennas and range up to 50m. 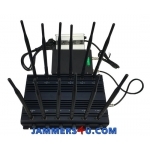 Jamm all types of Android phones, Tablets, Smart Phones, iPhones, GPS, Loajck, remote control signals from various devices such as rc cars, rc boats, alarms, wireless sensors, amateur or professional remotely controlled toys, etc. 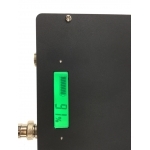 Each of 12 frequency module/band is separate and adjustable. 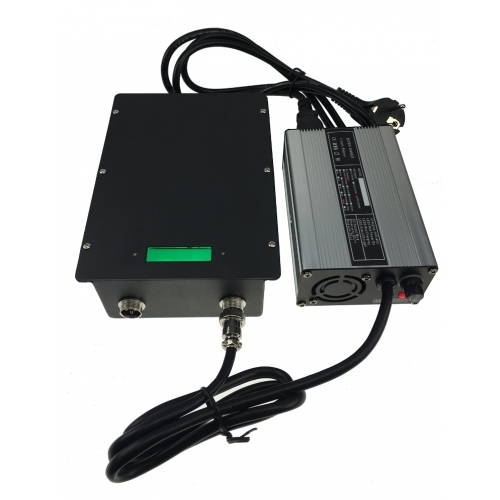 All 12 Frequency modules we can mix very flexible, Options: Remote/Alarm Control 315MHz, 433MHz, 920-965MHz, GPS L1 L2 L3 L4 L5, LoJack 173MHz, 4G 700-800MHz (USA), UHF, VHF, CDMA450, SAT Satellite Phones 1520-1670MHz, 5Ghz etc. Any combinations and customizations are possible just send us your inquiry and we will give you our recommendation.